Weighty Matters: Are You the Parent of an Ottawa Grade 6 Student? Read This! Are You the Parent of an Ottawa Grade 6 Student? Read This! Today's a rare good news post! 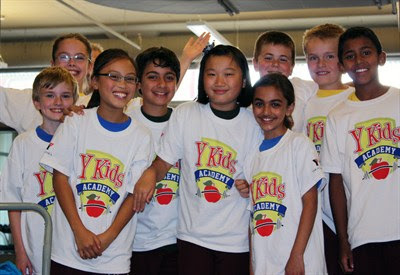 My local readers might know that my office has recently begun a pilot partnership with the YMCA-YWHA here in Ottawa. What that means is that people can enroll in our office's program and get seen at Ottawa's downtown Y location and at the same time, catch a large combined break on the costs of our program's unlimited visits and a year-long Y membership. What it also means is that I've been able to learn a great deal more about the Ottawa Ys. A free Y membership allowing your child access to every Y in the city (save the executive Y downtown across from the CBC studios) (awarded on completion of the 12 hour course). Honestly, this is an unbelievably generous and healthy opportunity, and for parents who might struggle with the financial cost of after-school activities, a real blessing. If you're interested enrolling couldn't be easier. Click here to print out an enrollment form, fill it, show up to the Y where you'd like your child to take the course, and away you go. Session schedules available here. First come, first served. Ottawan readers - please spread this post far and wide through your own social networks.